Sanctuary 2014: Immigrant shelters at houses of worship. 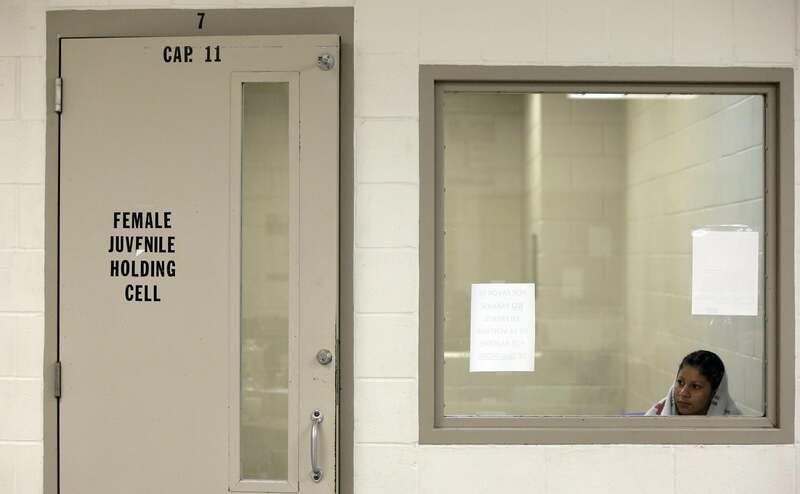 A detainee in a holding cell at a U.S. Customs and Border Protection processing center in Texas. Congregations in 12 cities have announced plans to defy federal immigration law and protest the stall of immigration reform by sheltering undocumented immigrants who are subject to deportation orders. The Immigration and Customs Enforcement agency classifies houses of worship, along with schools and hospitals, as “sensitive locations,” and former government officials have said in the past that raids on houses of worship are avoided as unofficial policy. The rebirth of the sanctuary movement began in Arizona in May when 36-year-old Daniel Neyoy Ruiz, who was born in Mexico, sought refuge in the Southside Presbyterian Church in Tucson. After nearly a month of living in the church, Immigration and Customs Enforcement officials granted Neyoy Ruiz a one-year reprieve from deportation. During the original Sanctuary Movement, American congregations were responding to the hundreds of thousands of Salvadoreans, Guatemalans, and Nicaraguans who sought refuge from violent turmoil and civil wars. Because the Reagan administration did not acknowledge that the governments of El Salvador and Guatemala were violating human rights, it classified their citizens as “economic migrants,” granting few cases of asylum. More than 150 congregations were part of the movement, which began at the same church in Tuscon that sheltered Neyoy Ruiz; several activists were convicted of violating laws. Decades later, activists cite similar frustrations over government inaction. Although the bipartisan “gang of eight” immigration bill was passed in May of last year, it has yet to be discussed by the House. The bill would have created a path to citizenship for undocumented immigrants, tightened border security, and streamlined the immigration process. It also would have banned raids on schools, hospitals, and houses of worship except in extreme circumstances. President Obama says he will use executive authority to take action on immigration issues but will delay doing so until after midterm elections in November.